FlexRadarDetection for two wheels or four? Yes. Differentiates between vehicles and bicycles, enabling the right amount of “green time” for the right vehicle. Installs seamlessly as a supplement to an existing primary detection system. 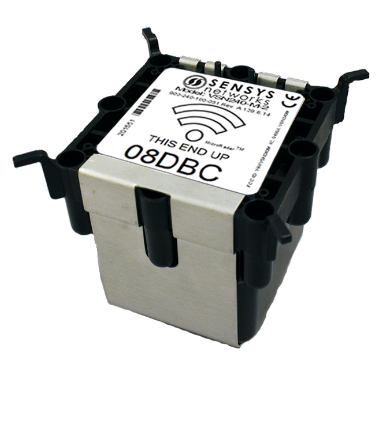 FlexRadar, powered by our patented MicroRadar technology, is an ultra-low power, patented radar sensor, compatible with the entire Sensys Networks product suite. FlexRadar reliably and accurately detects bicycles, differentiates between a bicycle and a motorized vehicle at the stop bar, provides bicycle counts in dedicated bicycle lanes, and provides the most accurate parking space occupancy data available. FlexRadar installs seamlessly as a supplement to existing wireless detection systems, lowering costs by leveraging existing infrastructure and communications. FlexRadar also improves safety by allowing agencies to optimize green time based on the unique needs of cyclists, as well as providing critical bicycle utilization statistics for city planners. FlexRadar has proven itself to be the most accurate detector for parking space occupancy in head-to-head tests with magnetometer and infrared competitors. Unlike competing sensors, FlexRadar is immune to nearby queued vehicles, passing trucks, dirt or abrasions. By combining FlexRadar for parking data and FlexMag for traffic measures, agencies are able to optimize parking policy to minimize congestion.